Rediscovered some rather hypnotic GIF animations of characters made for the now defunct app 'Can of Worms'. Continuing my analysis (or is it an obsession) of the recent rise of downloads of the app 'Can of Worms Lite', I have a new theory. Many apps have some key factor or strength about them, it can be cognitive, functional or visual. It is the moment when someone 'gets it' and the meme starts to spread. Flight Control was drawing paths, Angry Birds was playing with trajectories. Can of Worms 'got it' moment is trompe- 'oeil. That wonderful use of illusion and 'forced perspective' that mesmerized viewers when exhibited in the 15-19th centuries. Skeuomorphics was/is simply an extension of trompe-'oeil and it seems is now falling out of favour (or fad). Can of Worms visually is all about fake perspectives but importantly it uses the reality of the object (the phone) to emphasise the illusion. 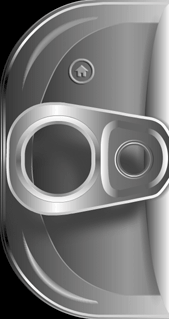 The iPhone, its rounded rectangle metallic shape, reminded me of a sardine can which in turn led to the idea about simulating the tearing open of said can. That simple idea of recreating or transforming the iPhone into a sardine can was the whole basis for the app Can of Worms and I think some people out there go it. Apps are funny things they can sit out there in 'appspace' drifting along and then 'BAM!' someone comes along and 'gets it'. I know the rule of 'making it and they will come' is rejected and discredited but I am not so sure this rule is always relevant in 'appspace'. It is market shifting and changing all of the time. Everyone is raving about Flat Design for iOS7 like flat design never existed....in my world it was called 2D design or 'no drop shadows' or 'no (fake) 3D'. Anyway it got me thinking about the short trend for 3D app icons and how that might change or die off now. I jumped on board with the 'Can of Worms' icon design and loved the process and result. It was so much fun making the mini-3D icon - maybe more than the app itself. That's my love of logo design talking I guess, the simplicity of an iconic image or logotype communicating so much. With the advent of iOS7 I have seen people write about making their App icons fit the new OS style/look (and obligatory guidelines). Interesting that a designer considers allowing a GUI to dictate the look of an icon - which inevitably means the whole App is affected by this stylistic shift. Not the first time I guess, nor the last. Personally I would not be changing any design look and feel just to fit with the OS change, I think Apps should remain true to their own conventions and purpose. Having said that, it did not stop me from considering if there was a way to make an acceptable flat design of the current 3D icon and here is the result after a very short session. There are some nice example here of 3D effects in a flat design style. 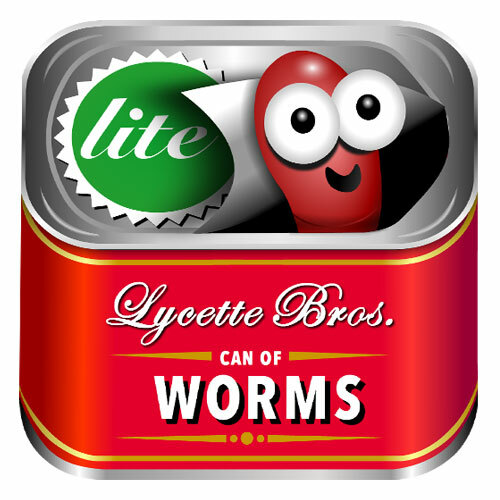 Can of Worms Lite is still experiencing increased downloads across the world on the iTunes store (yay!). I think it has peaked by the looks of the graph. I wish I could find something online as to why it happened. The data services like Appannie give you excellent information but it does not show anything that explains the rise. Google has no clues either. There is a gap in the app data market to analyse and interpret more than just the numbers methinks.